Impressive castles, strongholds, and ruins make up the Eagles Nests Trail, a part of Polish history. Most of the objects date back to the times of Casimir the Great. It is one of the most beautiful routes in our country known to attract with its landscape. This extremely popular trail stretches about 163 km on the route between Krakow and Częstochowa, known as The Trail of the Eagles Nests. 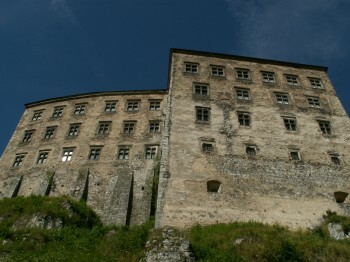 The origin of the name derives from medieval castles built like eagle nests on rocks whose height sometimes reached 30 meters. Their construction made them difficult to obtain defensive structures and observation points. Our tour proposal includes the six most popular castles on the trail, namely Olsztyn, Mirów, Bobolice, Ogrodzieniec, Rabsztyn and Pieskowa Skała. In addition to the castles, you can admire natural attractions along the route such as the Błędowska Desert. In Ogrodzieniec you also have the opportunity to visit a Miniature Park. This route combines history with scenic polish landscapes for an experience where everyone can find something for themselves. 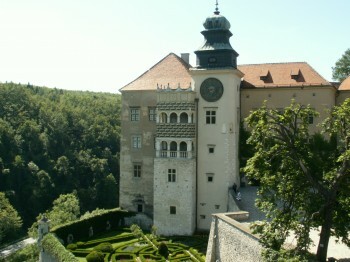 We offer the Castle Tour (The Trail of the Eagles Nests) in the PRIVATE TOUR option. We created this option to satisfy the most demanding of tourists. In addition to choosing the start and end times of the trip, a private comfort-class car with a private driver, the undoubted advantage of this version is the possibility to visit the castles and their ruins with a private guide. In this case, please make a reservation at least one day in advance. Only then we can guarantee full flexibility due to the ever rising interest in the Trail of Eagles Nests.